At the beginning of last fall, the jalapeño plants in my garden went into overdrive, and I found myself with a whole bunch of peppers all at one time. Now, I love jalapeños. I put slices of them, seeds and all, on sandwiches, tacos, burritos, and burgers all summer long. I love the heat and the crunch that the fresh green peppers provide. But there was no way my family and I could eat this many peppers before they went bad, so I started looking into ways to preserve them. I’ve never much cared for the pickled jalapeños you can buy in stores; they taste like they look: drab and limp. So I didn’t have much hope that I’d really enjoy jalapeños that I’d pickled myself, but I was willing to give it a try rather than let my harvest go to waste. I’m so glad I did! They turned out crisp, spicy, and delicious, and my family enjoyed them until about mid-winter when they ran out. 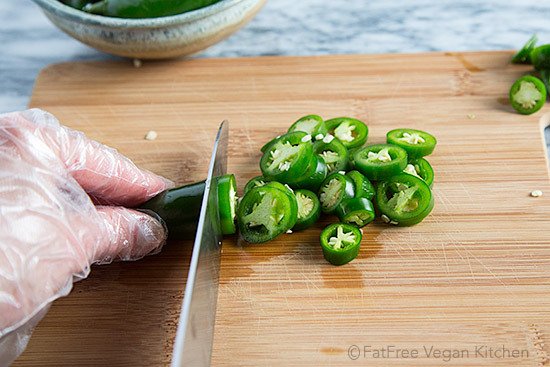 The most time-consuming part of this recipe is the slicing of the peppers. I’ve learned my lesson and now use disposable gloves that I bought in a Korean grocery store to handle the jalapeños. My recipe differs only slightly from others you can find on the internet. Mainly, I add some dried red pepper flakes to keep the peppers spicy because pickling can sap some of the spiciness out of jalapeños. Also, I don’t use sugar because I don’t think it’s needed, but if you want your peppers to be a little less vinegary, feel free to add a couple of teaspoons. Finally, I like the flavor that garlic adds to jalapeños, so I use a little more than most people and I slice them to allow more of the flavor to come out. I also like to eat the pieces of garlic, so this way there’s more of them. I like my jalapeños HOT, so I add red pepper flakes to keep them that way after pickling. But for a milder flavor, skip the red pepper and add 2 teaspoons of sugar to the vinegar mixture. You can also try removing some of the hot seeds by covering the jalapeño slices with water and agitating them. Be sure to let them dry before putting them into jars. Prepare jars and lids by cleaning them well in hot water. One recipe will fill 2 8-ounce jars or 1 16-20 ounce jar, approximately. Wearing protective gloves, slice the peppers about 1/4-inch thick; discard the stem ends. Pack the pepper rings into jars. Place remaining ingredients into a non-reactive saucepan and heat until it comes to a full boil. Pour the vinegar mixture over the peppers until it covers them, and arrange the garlic slices on top. Seal the jars and allow them to come down to room temperature before refrigerating. You can use them immediately, but the flavor will mellow a little if you let them rest for a couple of days. Jalapeno pickles should keep in the refrigerator for several weeks. Discard if any signs of mold appear. would you do them the same for a quick fridge pickle? WHAT A GREAT IDEA!! 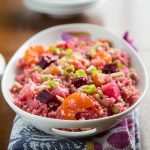 Thank you for this recipe – and for all the great tips!! When you said fill the jars with the mixture and seal, do you mean do a hot water bath? Nope, just put the lids on. They’re going into the refrigerator, so there’s no need for a water bath. The heat from the vinegar solution will actually cause the jars to seal when they cool off in the fridge. I want to can my jalapenos for long term storage. Can I use this same method and can instead? Thanks for the tip about Jeff’s! I’ve never had turnip pickles, so now I’m going to be on the lookout for those, too. The recipe I use for turnip pickles is from David Lebovitz. (It’s on his website.) 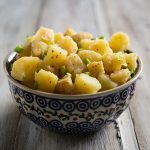 It’s fantastic – very garlicky and highly recommended. I will never buy jarred turnip pickles again. The pickles look good. I also freeze surplus chilies – they are a little soft when defrosted but still okay to use both raw and in cooking. I will keep this idea for autumn, still mid winter for me. 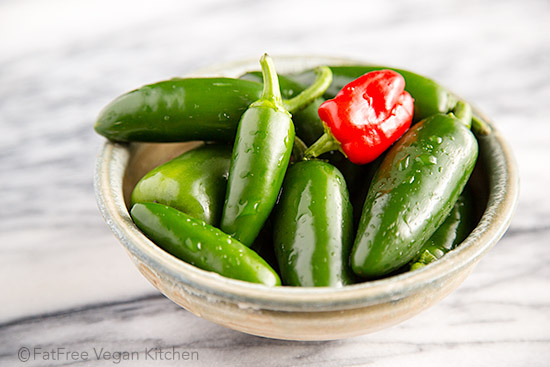 If you DO get jalapeno in your eyes or your skin, poison control recommends sour cream, yogurt, or even cotton balls soaked in milk to ease the pain. I learned this through experience, and it really does help. Thanks for the blog- I always find it interesting. They look fab. I usually buy pickled jalapenos for quesadilla, maybe I’ll make them myself next time. What an awesome idea Susan, I love the recipe! I bet they would be a great topping addition to a veggie burger… Just in time for my fourth of July BBQ! The pickles looks delicious. I’m glad I’ll get to try this recipe. Eating healthy food has a lot of benefits for your body too. Hm… is it okay to admit I like the jalapeño peppers ‘tamed’ (as Mezetta calls its peppers)!?!?!? I guess this means I WON’T be adding extra red pepper flakes! I love the looks of this so much my mouth waters when I look at the picture. 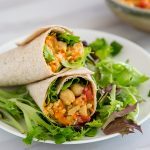 Thanks so much for sharing this and all your other recipes. I love chilli peppers and this looks like a lovely way to prepare them. i got some okra i was wondering if i could use this recipe for those? I don’t like okra in soups, etc but i do like them pickled. would this work?? Have you discontinued the recent comments section? I will completely support any business decision you make, but I have to admit I miss the comments. I would actually read every comment every day! I was having some trouble with my site and tried deleting a few things to see if that made a difference. It turned out to be a problem with my ad network, so I can now turn the recent comments section back on. Thanks for letting me know you use it! It should be back under the recent recipes section now. Thanks for the great recipe. I have a question for you, thanks in advance! 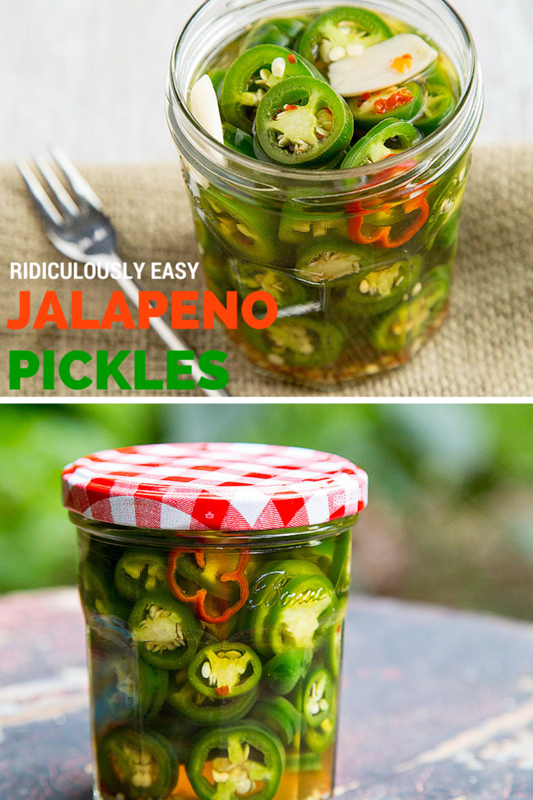 ooh these look great, I love jalapenos! These look great! I love jalapenos and eat them with just about everything. I will be trying these this weekend. WOW—-y0u must have an extremely large refrigerator to be able to put up enough of these for the winter. Any way to can them? Just to let you know, I tried to email this recipe to a friend using your email link and it would not pull up for me. A pity, since that’s the only way to share recipes for folks who do not participate in social media sites. I’m sorry it did not work for you. I checked it and and its working for me on iPad. I’ll have to try it again from my computer to see if I can find the problem. I hope you will cope the address and send it to your friend that way. I just made these. Thanks for the recipe. I made the wimpy version without the red pepper flakes. I planted hot peppers this year and they grew like crazy. Since I’m not a big hot pepper eater, I had to get creative. I made several jars of pickled hot peppers. I add the liquid to my cooked greens and refried beans. I chop the rings up fine and add as pizza topping. I also dehydrated a lot of my peppers. They dry faster and better if cut into rings. I then blended them and made powder that I can easily add to any dish. Ridiculously easy and ridiculously good!!! I have been making (and eating) a batch almost weekly since I discovered this post. 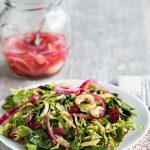 I usually layer in some sliced red onions too, as both make great additions to sandwiches and whatever else I think needs some heat and flavor boost. I will likely branch out to other types of peppers soon. Thank you for this recipe! Those peppers grow like weeds for me and I never know what to do with the extras. Thanks for the idea. How long will the jalapeno pickles last? I keep them for months and have never had them go bad. But check them carefully for any sign of mold. Incredibly easy. I put some sliced carrots and onions in there too. If this happens to you again, you can let the jalapeños dry in the sun and you will have chipotles. If you dry them already seeded it´s best since you will have to rehydrate them to use them. They will turn red first and then they will be brown, you can freeze them and you can pickle them also and get a different flavor. These chipotles are great blended in any creamy dressing or dip. I hope you´ll enjoy and share this tip. Tried the picked jalapeno recipe and it was wonderful. Friends and family loved them. Garlic was a bit also. I keep them for months in the fridge. Here in the South, there’s no such thing as a cold room, so I don’t know how to address that. To be totally safe for long-term storage, look for a recipe to can them. Ma’am…Just simply an awesome recipe. Thank You. I also used this as a base for pickled eggs….with of course the jalapenos AND red pepper flakes TYVM! These really do look ridiculously easy! 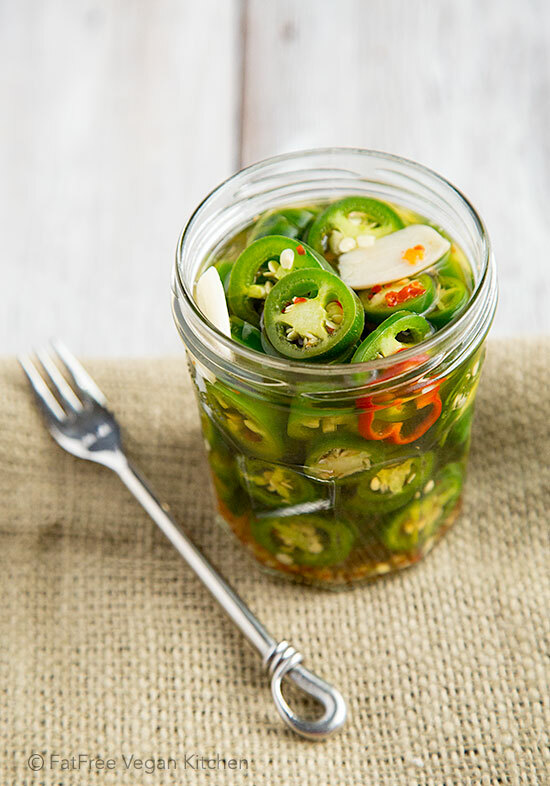 Can’t wait to try making these at home – I’ve never personally made pickled jalapeno peppers but I’m super curious to see what the flavor is like. Thank you for sharing! Can’t have garlic any other suggestions? Just leave it out. It just adds a tiny bit of flavor and the peppers are flavorful enough on their own. 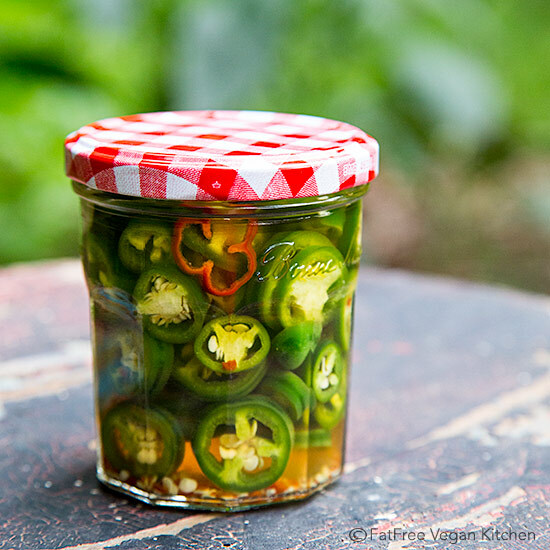 Have you ever considered trying pickling these peppers with lacto fermentation? I love fermented pickles and never thought about trying it with jalapeños. I bet they would be especially delicious, without all that vinegar. Thanks so much for inspiring me. OH MY GOODNESS! I just made these peppers and they just barely cooled, so I added some slices to my chili. Killer flavor and crunch! These kick the pants off of a jar of the store-bought stuff! Purely amazing! Thank you SO much! I am pregnant and had been craving pickled peppers. These hit the SPOT. I will make many, many more jars of these delectable peppers in the future. Mmm mm! For fear of provoking reflux, I left out the pepper flakes, but these have a great bite. I love the spiciness! Love, love, love these! I found this recipe about two years ago, and ever since I always have a batch in the fridge. In Arizona, our peppers can get quite hot, but I always add the chili flakes anyway. Thank you! Hi Susan! I’ve been stumbling across your recipes on pinterest for a long time, and they always turn out well. So when I happened upon this one and saw your picture in the corner I thought “Ooo! Susan Voisin! I love her stuff!” And I of course decided this was the recipe to go with! I just finished pouring the vinegar over my pepper slices and they are cooling off now before I pop them in the fridge. Thanks for all your help!!! Oh, that’s so sweet of you to say, Lindsey! I hope your pickles turn out well! I made this & it is so delightful. Thank you so much! Hi just came across this recipe. Curious what is a “non reactive pot”? I don’t can or anything, so I’m new to that term. Also, can the white stuff and seeds be removed for a little less heat? Thank you.